Stoke: Butland, Bauer, Allen, Williams, Etebo, Afobe, Indi, Adam, Shawcross, Clucas, Campbell (McClean 67). Subs: Federici, Ince, Berahino, Crouch, Edwards, Woods. Leeds: Peacock-Farrell, Ayling, Cooper, Jansson, Alioski, Forshaw, Klich (Stevens 76), Hernandez, Clarke, Harrison (Roberts 61), Roofe. Subs: Casilla, Davis, Shackleton, Halme, Gotts. Leeds United suffered a 2-1 defeat against Stoke City at the Bet 365 Stadium, but still remain top of the Sky Bet Championship. Stoke had the first chance of the game when Charlie Adam hit a volley from distance, but his effort was well wide. Pablo Hernandez was inches away from giving Leeds the lead inside two minutes when his 25 yard strike went just wide. In the sixth minute of the game, there was applause all around the Bet 365 Stadium, in a tribute to the late Toby Nye. Stoke goalkeeper Jack Butland smothered as Kemar Roofe looked to turn and shoot in the box, before a Jack Clarke cross fell to Ezgjan Alioski at a narrow angle, but he couldn’t control to get a shot away. After some good play by Clarke, Mateusz Klich teed up Hernandez to strike in the area, but he scuffed his attempt wide. At the other end, following a Stoke free-kick, the ball fell to Joe Allen on the edge of the Leeds box and he forced Bailey Peacock-Farrell into a good save. The home side then went close with a free-kick from 25 yards, Peter Etebo struck and his effort was only denied by a fine save from Peacock-Farrell. Benick Afobe saw a deflected cross well saved by Peacock-Farrell, before Hernandez struck a trademark curling effort from just inside the Stoke box, but fired straight at Butland. Leeds then went close from two set pieces. 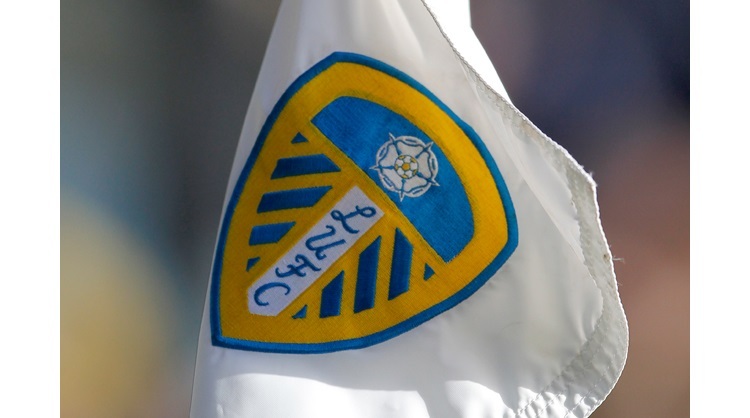 First Alioski played a free-kick out to Hernandez and his cross was headed at goal by Liam Cooper, but his attempt was blocked, before Pontus Jansson was just inches away from getting on the end of an Hernandez free-kick. Stoke took the lead four minutes into the second half, both Liam Cooper and Klich failed to clear with headers and Sam Clucas smashed home a volley into the bottom corner. Leeds almost hit back immediately, Clarke got to the byline before crossing low for Roofe, but he couldn’t make the desired contact with his effort. Clarke then worked a good position in the Stoke penalty area before firing a curling effort, but he couldn’t find the target. Leeds substitute Tyler Roberts almost had an immediate impact when he put in a good low cross, but Roofe hit an air strike in a decent position. Stoke almost added a second from a corner, Ashley Williams met the ball at the back post, but he couldn’t beat Peacock-Farrell. Hernandez should have been awarded a free-kick in the 69th minute, but it was not given and Stoke broke up the pitch, with substitute James McClean dragging a shot just wide. Jansson headed over from a corner before the defender came to the rescue to make a great challenge with McClean through on goal. There was controversy in the 77th minute, Afobe managed to see off a tussle with Jansson before going through on goal, but Peacock-Farrell made a good save. However the referee decided to bring play back and gave Stoke a free-kick and Jansson who had already been booked, was given his marching orders. Despite the man less, Leeds pushed to equalise, Roofe teed up Roberts but he couldn’t get the better of Butland. Alioski then whipped in a dangerous cross and with Roofe lurking, Clucas was forced to head away from a corner. From the resulting set-piece, Ayling provided a header at goal which looked certain to hit the back of the net, but for an unbelievable save from Butland. Alioski then hit a long range effort just off target, before the home side doubled their advantage. Following some good build up play, McClean’s cross from the left was met by Allen at the back post who prodded home. Leeds pulled a consolation goal back in stoppage time at a corner, with Alioski firing home, which proved to be one of the last actions of the game.